No matter if you’re looking to gain confidence, make major changes in your life, get organized, or find your passion, Julie Coraccio offers virtual life coaching. Julie specializes in life coaching, coaching for entrepreneurs & solopreneurs, business coaching with professional organizers and podcast coaching. Virtual coaching allows Julie Coraccio to work with people all over the world. Julie is a certified life coach and ready to support you in transforming your life through virtual coaching. Julie believes you have all the answers within and it is simply her job to support you in finding the answers as well as guiding you with action steps to create the life you desire. This work can be challenging and also very rewarding. It is important to the process that you be ready and willing to do the work. 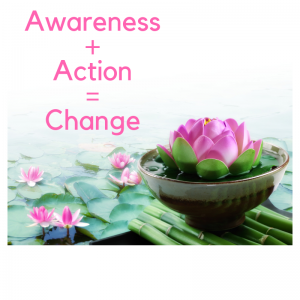 Awareness is half the battle and taking action is the other half. Let Julie be your partner and allow you to create transformation. Call Julie Coraccio at 919.559.3925 to set up a free 15-minute phone consultation to learn how she can support you. She is available to consult with you via Phone, FaceTime, Skype, or Zoom. Virtual coaching to create the life you desire. Julie Coraccio believes you have all the answers within and views herself as a supporter of bringing your wisdom that has been buried to the surface. We will examine clutter in all of its forms: physical, mental, emotional, spiritual and energetic. We will also examine clutter in your health, relationships, finances and more. Julie brings a mindfulness perspective to her coaching as well so you may be given homework such as “Say no to one person this week” or explore different mindfulness practices. As an entrepreneur, Julie knows what needs to be done to create a successful business. Many times, you have to wear many hats and operate on a limited budget. Being organized, focused and clear is an important part of success while also honoring yourself and passion. Julie helps you find your niche and how to get it all done. Julie Coraccio a successful self-help podcaster with over 1,300,000 downloads and counting. From concept to finished product, Julie coaches you to create a successful podcast. She utilizes her professional organization skills, as well as her creativity, to support you in creating your own successful podcast. Julie believes in nurturing and developing your skills and talents and creating and building a podcast that suits you and your style. She doesn’t believe in the “one size fits all” and “you have to follow this template” when creating your podcast. When you aren’t genuine people recognize that and usually tune out. With virtual coaching, anything is possible. You can even wear your jammies while we talk! Call Julie Coraccio at 919.559.3925 to set up a free 15-minute phone consultation to learn how she can support you. Julie is available to consult with you via Phone, FaceTime, Skype, or Zoom.